Now that the infamous Washington winter-without-color phase is here, many of us turn to hunting for flashes of color to help us while away the grey. 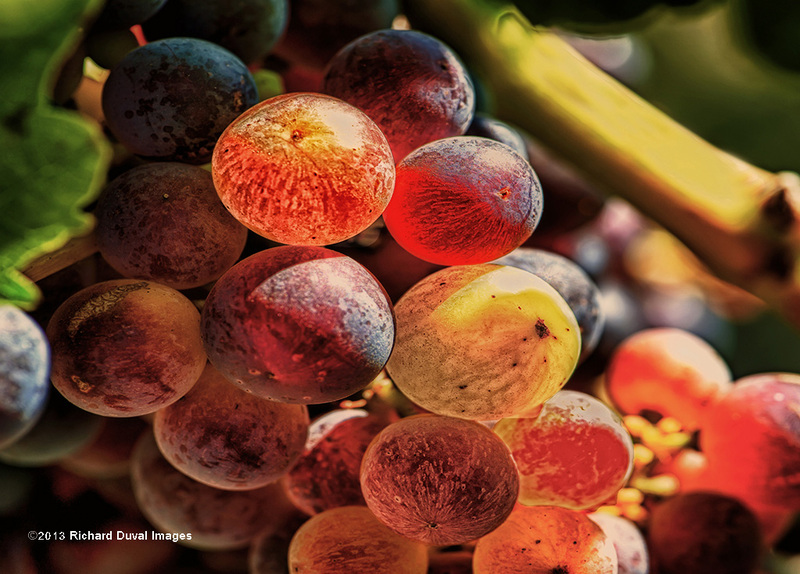 Contributing photographer Richard Duval is luckier than most – he just dives into his photo library for his daily dose of wine color. We asked him for a particularly colorful grape image and thus arrived Shine on the Vine #6, February’s Pic of the Vine (click on the picture for a larger image). Printed on canvas, Shine #6 is his latest addition to his 'Art from the Vine' exhibit, his select group of wine images that he alters using digital tools and techniques to “nudge them toward a ‘fine art’ direction while retaining their photographic look.” You can find the 'Art from the Vine' exhibit at Northwest Cellars in the Kirkland Warehouse District through this spring. Go get some color!